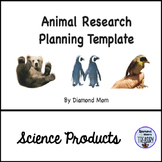 Animal Research Planning Grid This is a planning grid that is useful for gathering information and categorizing it for research papers or powerpoint presentations. I have also included two more templates that can be used for gathering information or for presenting research information about animals. Flowers for Algernon Research Plan: Are You Smarter Than an Inkblot? 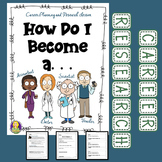 This unit covers the basics of market research. The importance of market research is emphasized. 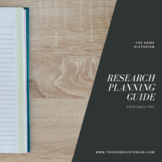 The steps for conducting market research are covered. Some optional research projects are also included. A link to a Quizizz game is included. An objective test is available. 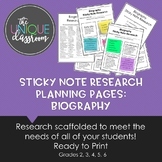 This planning page is a great component to a biography research project. 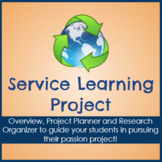 As students research an individual, they can organize the significant information on this planning page before publishing their final copy using a program such as Microsoft Publisher. This is the objective test for the unit on market research and planning. The test consists of 25 multiple choice questions. The key is on the last page. 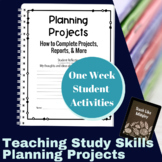 This planning page helps students organize his/her state research into the format of a tri-fold brochure. 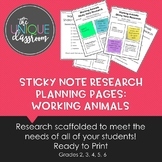 This resource works great to plan out a unit for an animal research project. 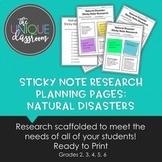 Students can plan out what information they find out and create a booklet to spotlight their research. For the cover of the booklet I used construction paper cut in half.